It is said the world has become a village and events in one country often affect the entire world. Decisions taken in one country often have a global impact. So, it is only logical and natural for any peace-loving person to worry about the kind of leaders chosen in other countries. 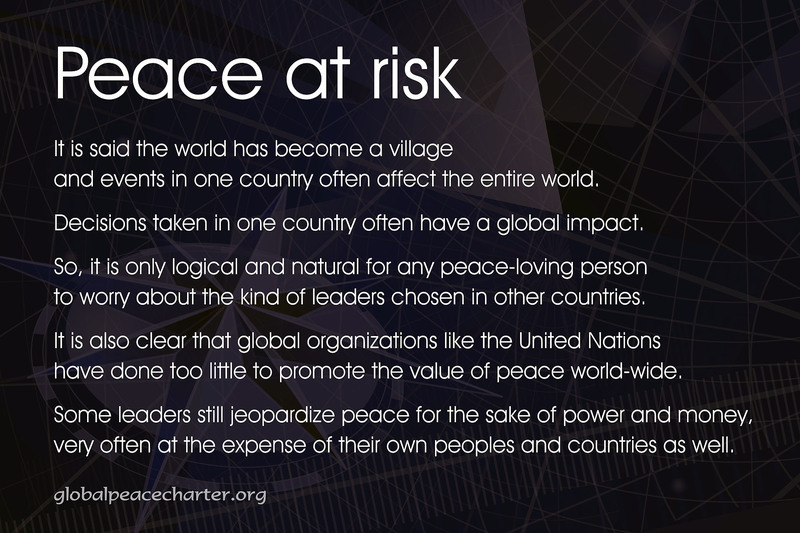 It is also clear that global organizations like the United Nations have done too little to promote the value of peace world-wide. Some leaders still jeopardize peace for the sake of power and money, very often at the expense of their own peoples and countries as well.